DONETSK (Rostov Region), (Sputnik) — During the trial, Savchenko stated that she told Ukrainian artillery not to fire at certain roads considered potentially useful. "Yes, I said it. You could consider it as fire adjustment, but it is not an adjustment," Savchenko said, answering a prosecutor’s question regarding whether she told the artillery precisely where they should deliver fire near the roads. 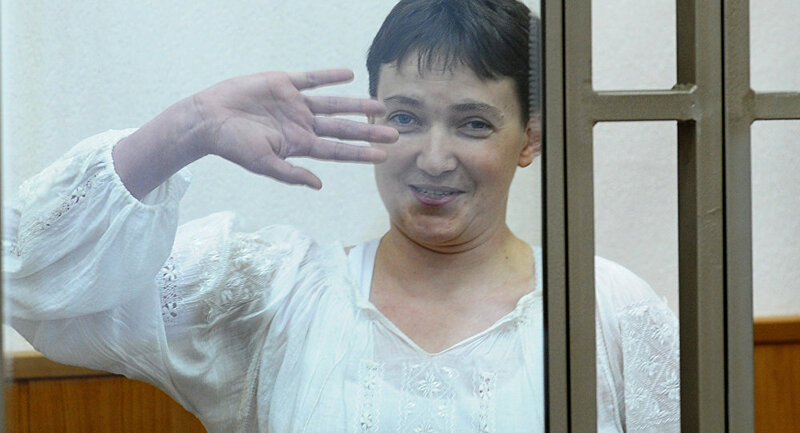 Savchenko has been in pretrial detention in Russia since summer 2014, as a suspected accomplice in the killing of two Russian journalists during the early stages of the conflict in eastern Ukraine. Russian investigators believe that Savchenko was a fire spotter during a mortar attack near the eastern Ukrainian city of Luhansk on June 17, 2014, that killed two Russian journalists, Igor Kornelyuk and Anton Voloshin.